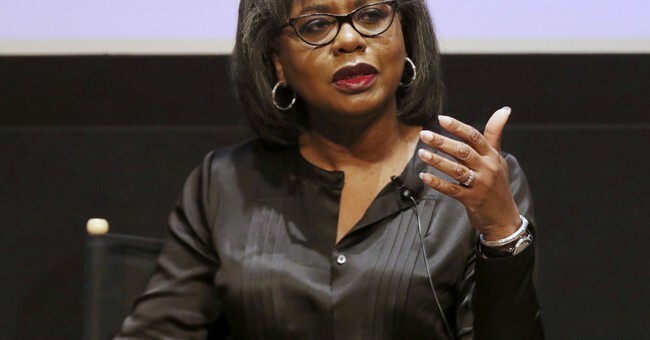 Twenty seven years ago, Judge Clarence Thomas and Professor Anita Hill electrified the nation with dramatic he-said-she-said testimony leading up to Thomas’ confirmation as a Supreme Court justice. As a good part of the nation sat glued to their television sets, Thomas and Hill gave radically different accounts of their working relationship. She said she was sexually harassed. He denied it. There is an important lesson to be learned from that event -- one that could apply to more than one #MeToo case of recent vintage. But almost no one has stopped to notice it. Former Gov. John Sununu summarized the hearings very succinctly on Fox News last week. According to Sununu, everybody who knew only Thomas, sided with Thomas. Everybody who knew only Hill, sided with Hill. But everyone who knew both of them – including coworkers and people who saw them socially outside of work – sided with Thomas. Over a long period of time, Hill convinced Thomas she had no problem with their relationship. Ditto for all her coworkers. Ditto for people she and Thomas met later on social occasions. What happened was more than a failure to complain. Hill convinced others she positively enjoyed Thomas’ company. Now on Hill’s telling, she was offended by all of this. We are led to infer that if Thomas talked about pornographic movies Hill sat silently and only listened. If Thomas talked about his sexual prowess, she did not engage in the conversation at all. If Thomas joked about a pubic hair she didn’t laugh. If Thomas asked her out on dates, she showed no romantic interest whatsoever. Now that we have a fuller picture, these inferences seem highly unlikely. I would bet $1,000 that if Thomas joked about a pubic hair, Hill laughed right along with him. I would bet another $1,000 that whatever Thomas talked about, Hill didn’t sit there like a tree stump and say nothing encouraging. But here is what Hill may have been truthful about. She may have secretly hated all of this. That is, she may have pretended to be Thomas’ friend and pretended to enjoy his company when in truth she didn’t like the guy at all. To meet the legal definition of sexual harassment, an actor must engage in behavior that interferes with the victim’s work performance or creates an intimidating, hostile or offensive working environment. So how do we know if there was consent? The courts have ruled that a victim need not orally object or take any other action to communicate unwelcomeness. That’s where things get murky. In Hill’s case, something more is involved. There was not only omission (failure to object), she engaged in acts of commission (encouraging the very behavior she later objected to). My own suggestion is that courts adopt a “no double dipping rule.” That means that a victim can’t pretend that a relationship is desirable for the purpose of obtaining benefits from it and then later claim the relationship was unwanted all along.